Adam McKay will work on the script for the Marvel project, which lost its original director when Edgar Wright abruptly dropped out over creative differences in May. It’s official: Peyton Reed is the new director of Marvel’s Ant-Man, while Anchorman helmer Adam McKay will work on the script. The news was unveiled on the Marvel official website on Saturday. After Edgar Wright abruptly left the project on May 23, Marvel launched into meetings with several helmers in hopes of quickly finding a replacement in order to get the film made by its July 17, 2015, release date. Some of the names in consideration included McKay, Ruben Fleischer and Rawson Marshall Thurber. 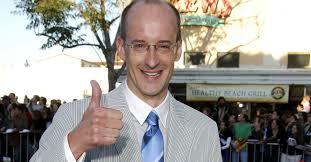 Later on, Peyton Reed and David Wain became frontrunners. The film, which will star Paul Rudd in the lead role, also stars Michael Douglas, Evangeline Lilly, Michael Pena, Corey Stoll and Patrick Wilson. Sources say that the single biggest thing Marvel is looking for is someone who can work with the talent already assembled. Marvel also released a new synopsis for the film,which will follow con-man Scott Lang (Rudd), who has the ability to shrink in scale but increase in strength. He must embrace his inner-hero and help his mentor, Dr. Hank Pym (Douglas), protect the secret behind his spectacular Ant-Man suit from a new generation of towering threats. Against seemingly insurmountable obstacles, Pym and Lang must plan and pull off a heist that will save the world. Reed has been planted firmly in the comedy world up to this point, helming Bring It On, Down With Love and The Break-Up. His most recent film, Yes Man, starred Jim Carey as a man who decides to say “yes” to everything. It earned $223.2 million worldwide. Reed is no stranger to the Marvel universe, having developed Fantastic Four at Fox for years before Tim Story took over the property, which launched two films under Story’s direction. (Fantastic Four is now being rebooted.) He’s repped by WME and Sloane, Offer. McKay, best known for directing the Anchorman films where he worked with Rudd, was initially thought to be a contender for the director position, but it looks like he’ll work on polishing the script for the project. McKay just wrapped on the Will Ferrell-Kevin Hart comedy Get Hard, and produces with Ferrell via their Gary Sanchez Productions and the female-centric spinoff banner, Gloria Sanchez Productions. He is repped by WME. Wright was originally attached to the Marvel project, but exited on May 23, citing “creative differences.” Wright’s exit is a shock since the filmmaker, who would have been one of the more unique voices in Marvel’s pantheon of movie directors, has been with the project since its inception in 2006, and the split has occurred late in preproduction.